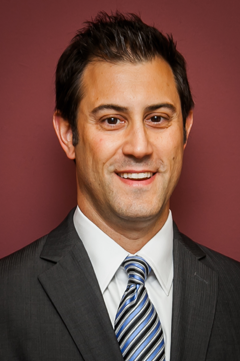 Mr. Grodsky graduated from the University of Wisconsin with a degree in Business Administration (1998) and his Juris Doctor (2002). Upon graduating, Mr. Grodsky joined a large corporate litigation firm in Cleveland, Ohio. With a deep interest in education reform, Mr. Grodsky moved on to an opportunity that allowed him to combine his law background and education when he took the position of Regional Director for an education management organization in Chicago, Illinois. There, he oversaw the operations and educational outcomes of four urban charter schools, one of which was rated as the top charter school in the city. His passion for education and policy led him to the role he held prior to joining Hauser, Izzo, Petrarca, Gleason & Stillman, LLC at the Illinois State Board of Education. As the Deputy General Counsel at ISBE, Mr. Grodsky was responsible for legal issues relating to procurement, data privacy, teacher evaluation and tenure, and educator misconduct, and served as the Race to the Top grant implementation counsel. At Hauser, Izzo, Petrarca, Gleason & Stillman, LLC, Mr. Grodsky represents school districts, charter schools, and private employers. He practices in the areas of education, labor, and employment law. Mr. Grodsky routinely counsels clients on employee rights and benefits, student rights and discipline, the Open Meetings Act, and Freedom of Information Act compliance. Mr. Grodsky negotiates and drafts contracts and intergovernmental agreements and also advises on board governance and regulatory matters. He represents clients in internal and government investigations. Mr. Grodsky also regularly litigates before state and federal courts and administrative agencies including grievances, arbitrations, charges of discrimination, and state and federal lawsuits alleging violations of the Illinois Human Rights Act, Title VII and Title IX of the Civil Rights Act of 1964, the Age Discrimination in Employment Act, the Americans with Disabilities Act, equal protection, and due process. Among other matters, Mr. Grodsky has represented public and private employers in defending cases alleging sexual assault, premises liability, First Amendment violations, retaliatory discharges, and breach of contract. Mr. Grodsky has presented on various topics at the IASA-IASB-IASBO conference, for the IASA, and for the Illinois Network of Charter Schools. He is licensed to practice law in Illinois, Wisconsin and Ohio.